Where is the hospice headquartered and how long have they been providing hospice care? 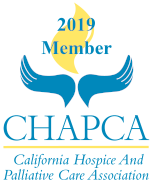 Hospice of the Valleys is headquartered in Murrieta, California and has been providing hospice care to our community for 35 years. Our staff lives in our service area, which allows us to respond quickly to the needs of our patients. Is your hospice for profit or nonprofit? Hospice of the Valleys is a nonprofit hospice governed by volunteer board members from our community. As a non-profit we are committed to our mission: We foster reverence for life, relief of suffering, and compassion in loss for the terminally ill residents and their families in the communities we serve. How many patients does each Case Manager, RN care for? Our goal is for each Case Manager, RN to care for approximately 12 patients at any given time. Does your hospice physician work exclusively for your hospice or is your doctor responsible for hospital and/or patients in a clinic setting? Hospice of the Valleys Executive Medical Director, Leslee Cochrane MD, is a Family Practice physician by background and is Board Certified in Hospice and Palliative Care. Stephen Ryder MD, is an Internal Medicine physician by background and has been providing hospice care for over 10 years. Both are solely dedicated to serving and caring for the patients of Hospice of the Valleys. Can I speak with your hospice physician via phone prior to admission? Our physicians are always available via telephone to the patient or family during the admission process. What percentage of patient families reported to the Medicare survey, Hospice Experience of Care,* that they always received timely patient care? 9% of Hospice of the Valleys patient families reported to the Medicare survey, Hospice Experience of Care* that they always received timely care. What percentage of patient families reported to the Medicare survey, Hospice Experience of Care,* that they would definitely recommend the hospice they had used? 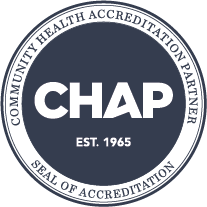 96.6% of Hospice of the Valleys patient families reported to the Medicare survey, Hospice Experience of Care,* that they would definitely recommend Hospice of the Valleys. *Hospice Experience of Care is a survey that Medicare sends to every family that has had a loved one on hospice care.